Be sure to subscribe to the English Department Facebook page and check frequently for updates about upcoming events, student organization activities, dates for visiting writers and scholars, student or faculty accomplishments, internship openings, publishing or career opportunities, etc. 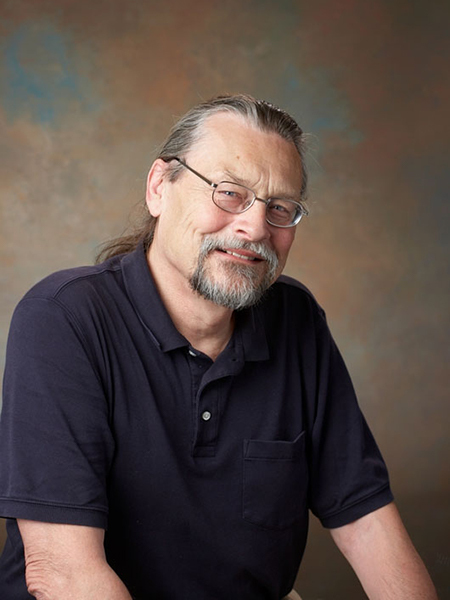 Award-winning author Walter Wangerin Jr. joined Valparaiso University’s faculty in 1991 as the Emil and Elfriede Jochum University professor. As a faculty member at Valparaiso University, Professor Wangerin holds professorships in both the English and theology departments. Professor Wangerin’s own writing career started with the renowned “Book of the Dun Cow” and has encompassed most every genre: fiction, essay, short essay, children’s story, meditation, and biblical exposition. An immediately recognizable writing voice and author of more than 40 books, Wangerin has won the National Book Award, New York Times Best Children’s Book of the Year Award, and several Gold Medallions, including best-fiction awards for the “Book of God and Paul: A Novel”. Professor Wangerin’s most recent work, released May 2008, is written together with his son, Matthew, and tells the story of their own lifelong relationship. “Father and Son: Finding Freedom” weaves together each writer’s personal story and shows how earthly fathers and sons are shaped by a Creator’s relationship with his creation, and how within the human experience of parenting, we discover insights into the spiritual nature of home, family, and eternity itself. Professor Wangerin also released in February 2008 the illustrated children’s story, “I Am My Grandpa’s Enkelin.” This original tale is told by a granddaughter (Enkelin, in German), looking back at all that her German-American grandpa taught her. The Grandpa shows his precious Enkelin how to live well — and at the end of his life, he also shows her that death is not an end, but a new beginning. Professor Wangerin is a contributing writer for The Lutheran magazine and frequent speaker throughout the nation on topics of faith, story telling, and writing. Professor Wangerin was speaker for the Lutheran Vespers radio program from 1994 through January 2005, and prior to joining Valpo’s faculty, he served as an inner-city pastor in Evansville, Ind. for 16 years.